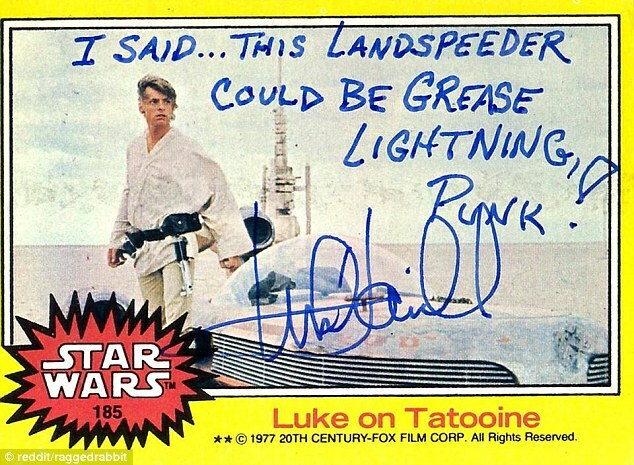 After autograph expert Steve Grad posted these Star Wars trading cards signed by Mark Hamill on Facebook, they quickly spread across social media and the web. 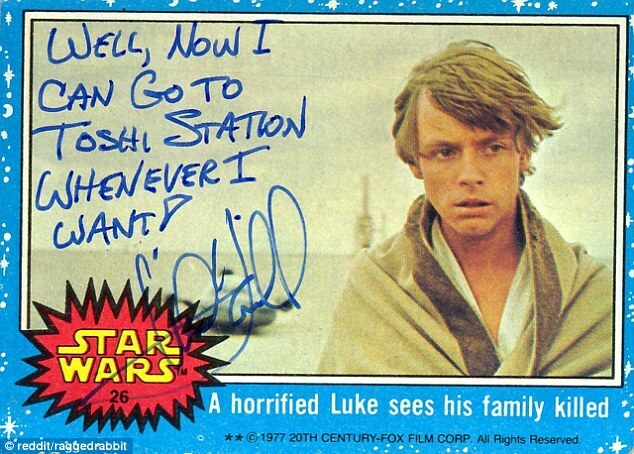 The trading cards shows the humor of Mark Hamill. Mark not only puts his signature on the cards, but captions the image in the card. 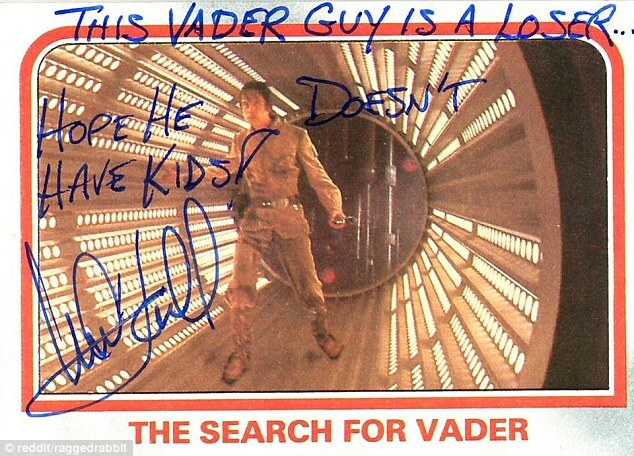 Many fans around the web seem to love the funny comments, even if some are a little on the dark side.